How would you Live feeling the Security & Abundance that comes Naturally when in contact with real Source? What would our World look like if 1000’s of us become Aware & Live in our Natural connection with God Source? Are we ready for the Real Awakening that we’ve been hearing about, reading about, hoping for, waiting for? Are you ready for a Real(er) Awakening that we’ve all been hearing about, reading about, praying for, hoping for, waiting for? 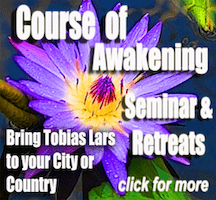 With Fun, Play, Sincerity, Irreverent ‘Spiritual Incorrectness’ & Practical, direct, easy to learn methods & a ‘Voice of Grounded Sanity’ – Tobias Lars BS, MBA, Mensa is sharing real experience through direct transference that leads to True Transformation & Real Awakening into who we really are. 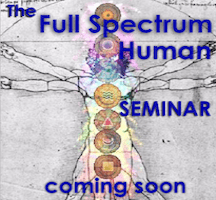 With 25 yrs direct awakening personal awakening work with Masters – Paramahansa Yogananda, Sai Baba, Babaji, Jesus Christ, St. Germain, Amazonian Shamans, Native American Medicine Men- ‘All Things are Coming to Light’ and it is now time to OPENLY SHARE this previously ‘secret’ wisdom. Real Awakening is obviously not ‘easy’ all the time – but it is imminently and directly available now more than ever in the history of Earth. ‘Preparation’ is over! Now it’s TIME for real Awakening. This is the Intent behind ‘Course of Awakening’. It’s time to Be & Live who we really are, to have your Self Wake Up, to see your power, your ability to manifest, to feel the Peaceful Power in your body, in your heart. Is it time on Earth now for a real larger Awakening of Human Consciousness? How can we Awaken to all the parts of ourselves? How can we have the concrete physical energies of awakening come into our beings, our bodies, our selves? What are the things we are not being told about Real Spiritual Awakening? Who are Awakened Masters, those that have gone before us & how can we let them help us? Can true, real Awakening into our real larger Selves be practical, exciting, enJoyable? Have you had enough ‘understanding’ and are ready to have real Awakening for your Self? Easy to watch or download from anywhere in the world over the internet! 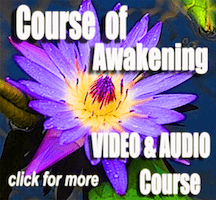 The Course of Awakening – is easy to watch on any computer in the world. 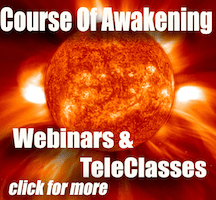 Periodic updates of 1 1/2 hr Course of Awakening Webinar Class Recordings. Access to the ‘subscribers only’ section that has more in depth information and complete videos not available in the free videos on YouTube etc. There are no long term commitments, you are not locked into anything, you can just try it for a while and you can decide anytime if you want to continue as a subscriber or not. If you FEEL READY I recommend you just take the action and GO AHEAD and SUBSCRIBE NOW. Thank you for your interest in ‘Course of Awakening’, it is my hope, wish and Intention that CofA be a real catalyst for enJOYable, real Powerful Practical SPIRITUAL AWAKENING for 1000’s of us on the Planet and that we build a worldwide community of support for one another. I just happened to tune in and heard you talking about gurus Yogananda and Babaji.These have been my Gurus for 50 years. So I listened intently. I have always believed in the Sun as the source of all life. After listening to you I took a walk around the block. I loved listening to you. Thank you for encouraging me to be human and to enjoy life. Bring it on! That was great – now I have the Key to Peace. It’s easy to see with ‘far away society’ but to see it with your mate – what a gift – Thank you. That was the answer to 40 years of fighting – DIALOGUE – yes. I just listened to your interview and all I can say is WOW! Your knowledge and the way you carry yourself and respect the thoughts and beliefs of all, yet tie them in to how you feel amaze me. These Videos really Rock! They work! You are just being yourself and really ‘Putting it out there’. Thank You for inspiring us with a whole new level of Real Spirituality!